Sparkman Warf, a creative mixed-use redevelopment near Water Street Tampa, was born from the former Channelside Bay Plaza retail center, located along the Garrison Channel in downtown Tampa. SPP, along with Groundswell Studios saw the potential in the space to become Tampa’s waterfront destination for work, outdoor recreation, and dining. Among the other upgrades including new office space, ground-floor retail, 1-acre outdoor space with a lawn, stage, and beer garden, the Water Street Tampa team wanted to include outdoor dining options. 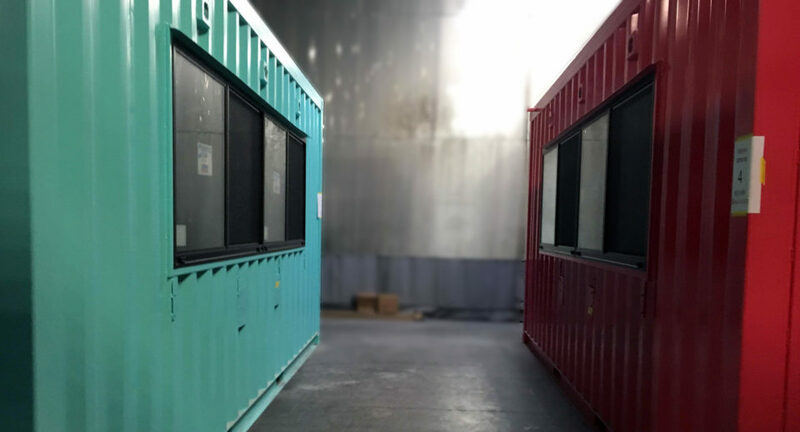 Paying homage to Tampa’s port-city roots, the shipping container restaurants were custom-designed and built here in North Carolina to facilitate the fan-favorite and incubator restaurants slated to lease the spaces. Stacked on top of the restaurants are empty containers which display large-scale murals painted by Pep Rally Studios, to incorporate visual elements that speak to the culture and lifestyle in Tampa. We are so proud to have been a part of this landmark project! Although the area is still being developed, we were too excited to prolong sharing with our audience! We look forward to sharing a case study with you, once Sparkman Warf is open for business! In the meantime, check out these photos others have shared of the project through social media and online. Who else can’t wait for @sparkmanwharf to open? This was taken today.